We’d love your help. Let us know what’s wrong with this preview of Why Would a Dog Need A Parachute? by Jo Foster. To ask other readers questions about Why Would a Dog Need A Parachute?, please sign up. 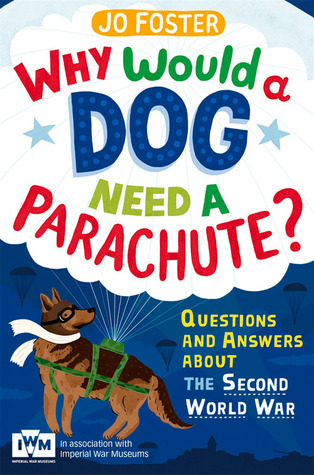 Be the first to ask a question about Why Would a Dog Need A Parachute? Interesting, but the formatting works against this book. Small, paperback, and with more illustrations that period photos, this could have been much better done. An informative introduction to World War II. This book covers a variety of subjects (within WW2) in a fun, friendly way. Jo Foster is a researcher for history-oriented television shows.